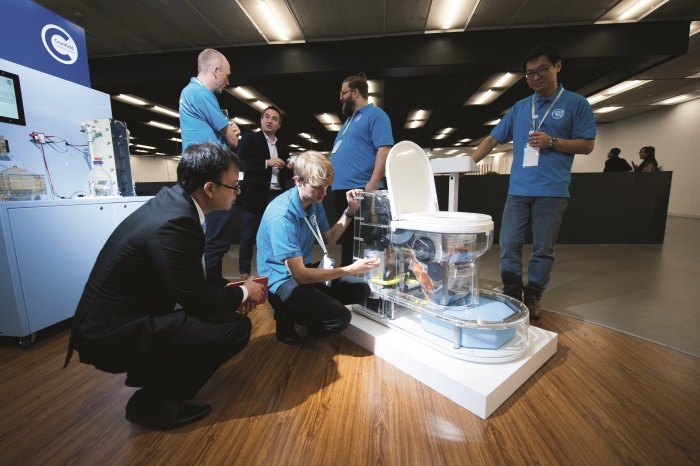 Dave Creasey explores the desperate need for widespread use of safely managed, sustainable sanitation services across the globe, and reveals how an ex-tech giant is leading the charge. My eyes were first opened to sewerage disposal during my childhood while growing up in the UK. From 1940-1945 my education was subjected to interruption by the renovation program, donated free of charge, first by the Luftwaffe (Nazi air force), and later by some interesting unmanned rockets launched from a place called Peenemunde. While living in London, my sister and I spent our nights sleeping first in the cleaned out coal cellar located under the stairs to the home unit above, and later in an Anderson shelter in the backyard. We were eventually evacuated to Peaslake, a wonderful sleepy village near Guilford. The WC was a portable timber job located in the garden which could be moved, like a sedan chair. It was located over a sizeable hole in the earth; a mound of excavated earth was the supply to cast over the 128g, or whatever you might deposit in the pit. This arrangement provided rich soil and a staggering crop of tomato plants, which I would eat much like an apple on my way to school; this might be considered as my first practical experience of environmental science. While basically crude, the Peaslake sanitary system was a labour intensive, simplistic 100% sustainable, practical system. Few, if any, outbreaks of rampant disease occurred while these systems were the norm too. And it seems modern science has recognised the fact. On average humans eliminate 128g of fresh faeces per person per day with a pH value of around 6.6. Fresh faeces contain around 75% water and the remaining solid fraction is 84-93% organic solids. This means each person who uses a modern plumbing system produces 32g of solid material each day which translates to 1kg/1000 people using the system. Human faeces have historically been used as fertiliser for centuries in the form of night soil, faecal sludge, and sewage sludge, depending on the type of collection system and treatment process. There are over 1.5 billion people in developing countries; to this number we could add many Australian Aboriginal and Torres Strait Islander people. Because there’s an important lesson to learn. And some powerful people are leading the way when it comes to implementing change. Bill Gates isn’t afraid of potty talk. In November he got onstage at the Reinvented Toilet Expo in Beijing, China, in front of global business leaders, investors, and government officials and unveiled what he politely referred to as a ‘little exhibit’. It was a glass jar filled with human faeces. “It’s good to be reminded, in this sample, that there could be over 200 trillion rotavirus particles, 20 billion Shigella bacteria, and 100,000 parasitic worm eggs,” said Bill. The jar of human waste was used to make a point. Around the world, in places without proper sanitation or sewage systems, to the disgrace of the modern world, there’s much more than a jars worth of unsanitary human waste sitting around. “That’s what kids, when they’re out playing, are being exposed to all the time,” said Gates, noting the link between bad sanitation and disease, death and malnutrition. The systems developed with those grants convert what we put in the toilet into fertiliser, energy or recycled water – some of which is good enough to drink. 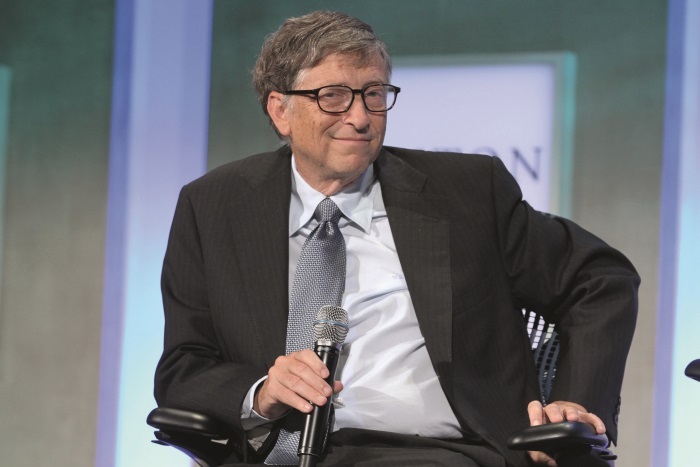 The Gates Foundation now intends to invest an additional $US200 million into research that can yield additional ways to deal with human waste at the source. In 2015, the World Health Organisation (WHO) estimated that just 39% of the world’s people were using a ‘safely managed’ toilet or a decently clean latrine. Living without a good toilet can be unsafe. People who come in contact with faecal matter face a risk of deadly infections and chronic health problems, since human faeces carry pathogens like E. coli, Streptococcus, hepatitis A and E, and more that can cause pneumonia and diarrhoea; the top two killers of kids around the world. It is estimated that illness from poor sanitation costs the world over $US223 billion per year in lost wages and extra healthcare. “Unless we do something, the cycle of disease will actually be accelerated,” said Bill. He doesn’t think it’s practical to expect the entire world to connect their homes to yet-to-be-built conventional sewer systems and wastewater-treatment plants. That’s why he has been on a quest to do for toilets what he argues Microsoft did for computing: get the business off a centralised mainframe system. Bill started by asking engineers at universities around the world a simple but unanswered question: “Could you leapfrog the long-accepted ‘gold standard’ of sanitation? A decade ago, I didn’t think I would be able to tell you so much about human waste,” said Bill. After seven years and $US200 million of investment, the first batch of products from the Reinvent the Toilet Challenge is being tested in locations around India, Africa and China. One of the first new toilets is the solar-powered Eco-san system which is based on technology developed at Cal Tech. the Eco-san extracts clean water from human waste and reuses it for future flushing. Other models are also in the works from companies and universities around the world. The University of South Florida’s NEW generator treatment system runs on solar energy and can be hooked up to any existing toilet. It uses a Nano-membrane filter (kind of like a coffee filter) with faeces-digesting anaerobic bacteria inside to filter clean water out of the waste. Another toilet from Cranfield University in the UK comes equipped with a little trap-door odour barrier and scraper that means water isn’t required for flushing. Clean water is filtered out of waste via a large, orange screw in the tank, and solid waste is burned inside the toilet’s combustor, which converts the waste into ash and energy. There are others too. It will be interesting to see where these developments and innovations lead. Consistent with most changes in established engineering solutions though, none of these sewer-free toilets are currently at a price that’s feasible for individual homes, however this equation changes when the conventional infrastructure cost is included in a unit cost comparison. For now, the new toilets are going to be used at schools, apartment complexes and community bathroom areas. Bill said his eventual goal is for off-grid toilets to be used in homes around the world. He told the crowd in Beijing that he’s ready to spend an additional $US200 million developing the technology for those next-generation toilets. But Bill hopes someday the private sector will start developing sewer-free home toilets and compete to provide those toilets to the 4.5 billion people around the world who don’t have them now. “We estimate that by 2030, the opportunity here is over $US6 billion a year,” said Bill. He is also interested in the Omni Processor, which is essentially a much smaller version of a waste-treatment plant. The small plants, one of which is already on the ground in Dakar, Senegal, can serve 5,000-100,000 customers and are completely self-powered. They take in toilet waste, kill pathogens in the sewage, and convert it into products with commercial value – like clean water, electricity, and fertiliser. Bill Gates should be made an honorary member of the Plumbing Hall of Fame.